I may be dating myself here, but back in the day, there used to be a box cake mix called “snackin’ cake” my grandmother used to prepare for us. Nothing fancy, just a small 8″x 8″ cake that we always enjoyed getting as a treat. This Vegan Amish Applesauce Snackin’ Cake kind of reminds me of those days. It’s so flavorful and we’re making use of a vegan mayonnaise in this recipe. It adds moistness and a bit of tang. Just look at that texture! 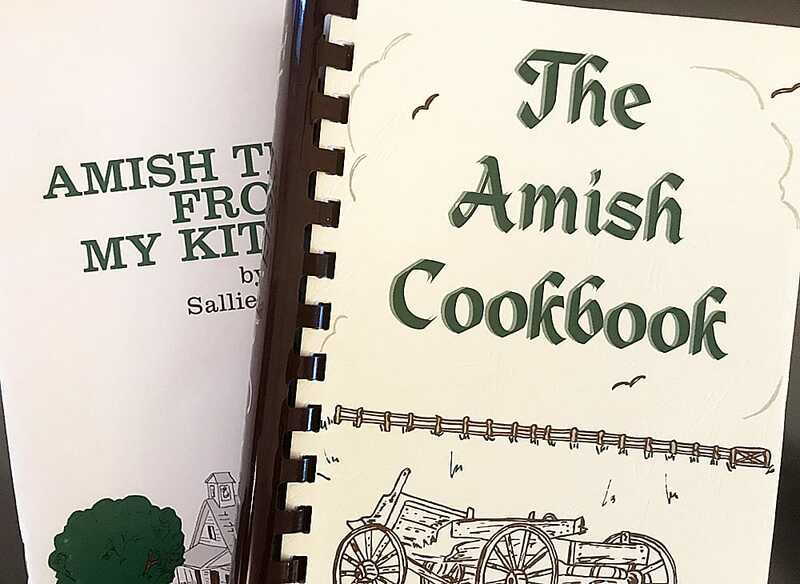 A bit of background… Two of my family members like to visit the Pennsylvania Amish country and so I asked, “the next time you are there, can you pick me up a cookbook?” And they did 🙂 That is where this recipe originated. It’s adapted from the Applesauce Mayonnaise Cake recipe I found in this book. This recipe is so simple that you really don’t need a step-by-step tutorial except that I will mention it’s best to line your pan with parchment. It’s SO much easier to get out after baking. It bakes to a beautiful golden brown and I cut it into a generous nine servings. 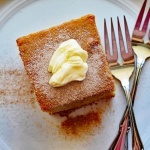 The cake can be topped with a bit of vegan margarine and cinnamon sugar (this is a must try), or even a vegan whipped cream would be really nice. 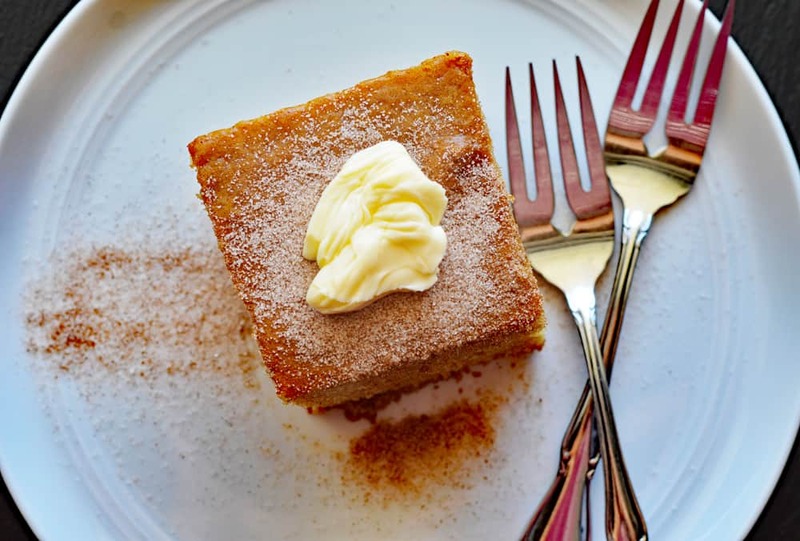 But when that margarine melts on the warm cake and melds with the cinnamon sugar, it’s like reliving your childhood all over again with cinnamon toast! 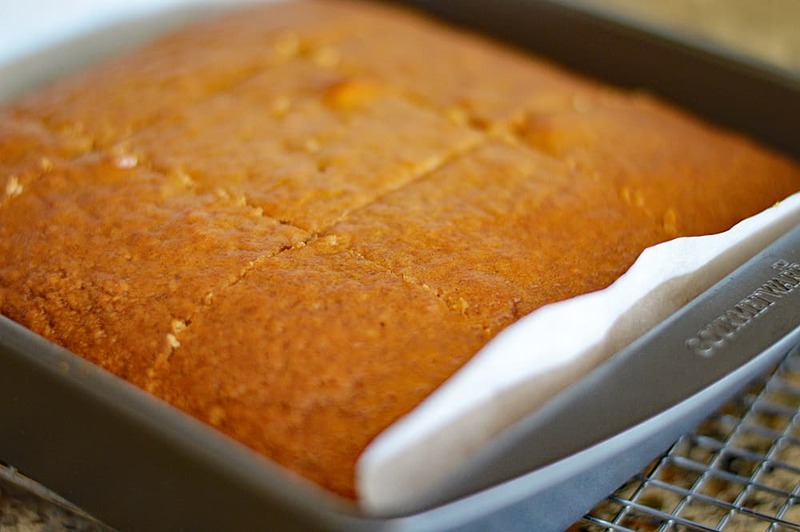 Did you make this recipe for Vegan Amish Applesauce Snackin’ Cake? If so, leave me a comment below and let me know what you thought! 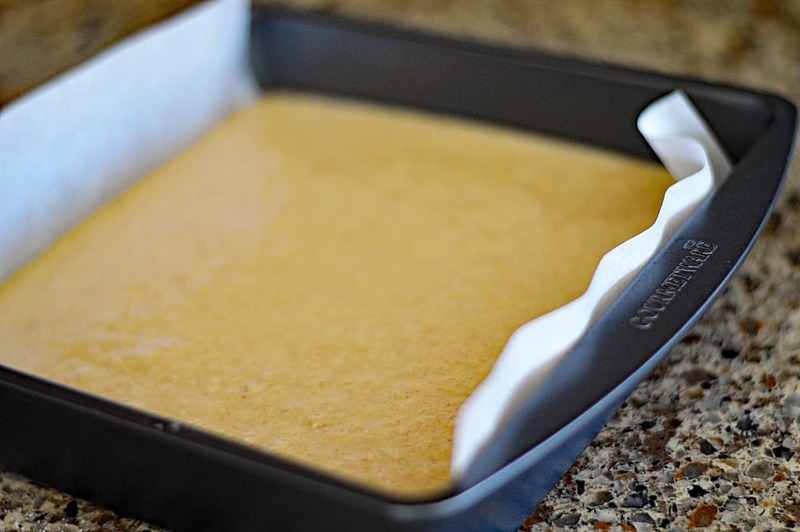 Preheat oven to 350 degrees and line an 8x8 baking pan with parchment paper. Use a bit of cooking spray (if desired) to ensure easy release. In one bowl, combine sugar, vegan mayonnaise, almond milk, applesauce, and vanilla, mixing in thickened flax "egg" mixture. In another bowl, whisk together flour, baking soda, spices, and salt. Add dry ingredients to the wet ingredients, 1 cup at a time, until combined. Do not over work the batter, keep it light! Pour into a parchment lined baking pan and bake until a toothpick inserted into the center comes out with a few moist crumbs on it. Serve warm (or reheat to warm), add a bit of butter and a sprinkling of cinnamon sugar. « FALL in love with the flavors of France! Has anyone tried this gluten free? What can I substitute for the vegan mayo; not a fan of that. Thank you! What ratio sugar and cinnamon did you use for the top? 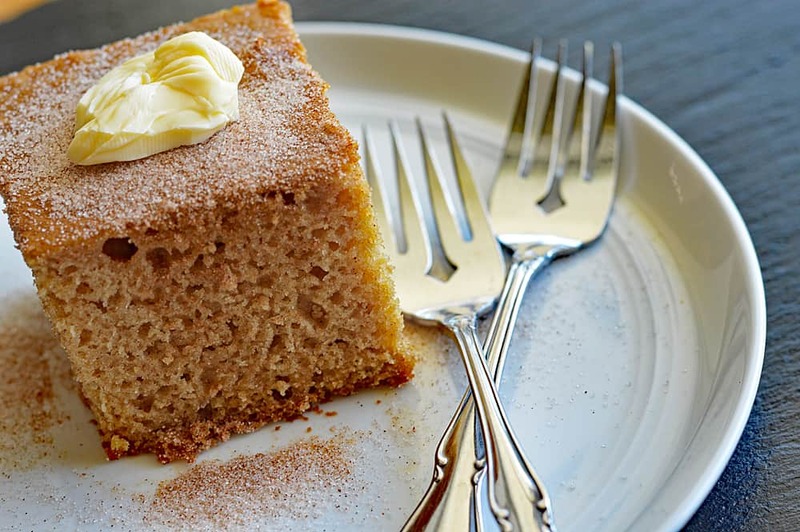 An unfussy recipe for an excellent cake––even without cinnamon sugar! Thank you, The Veg Life!